Savannah Resources plc (LON:SAV), the AIM quoted resource development company, announced today that it has entered into an exclusive due diligence and option agreement with Aldeia & Irmão, S.A., a private Portuguese company, with a view to acquiring a Mining Lease, once granted, over areas of land abutting the southern end of the Reservatorio Lithium Deposit and adjacent areas to the Company’s Mina do Barroso Lithium Project, located in northern Portugal. · Savannah has entered into an exclusive due diligence and option agreement for the potential acquisition of a three block Mining Lease for lithium, feldspar and quartz (once granted) totalling 2.94 km². · Affords Savannah the opportunity to secure a potential extension to the Reservatorio Deposit, which has a current Mineral Resource Estimate of 3.2Mt at 1.0% Li2O for 32,000t, and to identify additional deposits with at least five known spodumene bearing lithium pegmatites occurring in the tenure area. · Following the completion of due diligence, Savannah may exercise an exclusive option to acquire the mining lease, once granted. 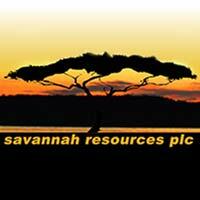 · During the option period of approximately 12 months, Savannah can conduct exploration. · All payments are to be staged with payments expected to be made from anticipated revenue generated from the Mina do Barroso mine, once developed. · The acquisition would provide additional resource potential and further space to optimise the layout for any potential mine development. The Mining Lease Application for lithium, feldspar and quartz covers key areas of the newly identified lithium pegmatite bearing structural corridors adjacent to and within the vicinity of the Company’s C100 Mining Lease. The Company believes that the areas covered by Aldeia’s Mining Lease Application could contain an extension of the known mineralisation associated with the Reservatorio pegmatite, as well as at least five other pegmatite bodies, which have been confirmed to host lithium bearing spodumene mineralisation by past academic studies. The Mining Lease Application consists of three blocks (A, B and C) each totalling 0.98 km² in area. Savannah’s due diligence programme will include detailed geological mapping, rock chip sampling, as well as a detailed ownership, environmental and commercial review to fully characterise the opportunity and its overall potential. · Potential increase in the current Mineral Resource Estimate, which could provide the opportunity to extend the currently defined mine life of 11 years, as highlighted by the recent Scoping Study, and/or potentially increase annual processing rates. · Expanding the site footprint could increase options for the positioning of infrastructure and reduce mining and infrastructure costs, particularly given the close proximity of the Aldeia Block B to the Reservatorio Deposit. The Agreement provides the Company with a 70-day exclusive due diligence period, which will commence immediately, whereby Savannah will conduct technical, financial, and legal due diligence. Subject to the Company receiving satisfactory results from due diligence, Savannah shall be entitled to trigger the commencement of an exclusive option to purchase the Mining Lease, once granted. The Option expires on 25 June 2019 and, if exercised, Savannah would purchase the Mining Lease, once granted. The purchase price of the Option is €350,000, payable in instalments. Upon Savannah providing a Commitment to Purchase, the parties shall have a maximum of five years to submit, and to have approved, a mining lease application over the ground. Upon approval of the Mining Lease, Aldeia will apply to register the Mining Lease in the name of a subsidiary of Savannah. The total purchase price for the acquisition of the Mining Lease once granted is €3.25m, which would be paid in monthly instalments following the transfer of the Mining Lease to a wholly owned subsidiary of Savannah. The majority of these payments are expected to be made whilst the Mina do Barroso Project is in production and generating revenue. The Company looks forward to providing shareholders with further updates regarding the Proposed Licence Area following the conclusion of its due diligence.